In November 26th, 2010 Shanghai bauma Exhibition successfully closed at the shanghai new international exhibition centre. Being Asia’s largest engineering plant exhibition, it reached many records in the number of exhibiters and exhibiting products. SHANGHAI ZENITH MINING AND CONSTRUCTION MACHINERY COMPANY, as the world’s leading and high advanced mining machinery company, had enormous of good news in the 4 days exhibition. 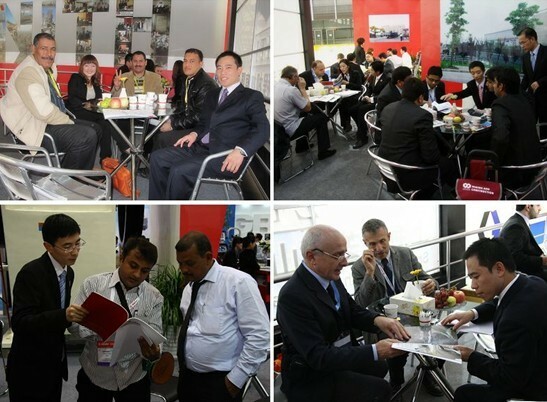 During the period, Shanghai ZENITH booth was visited by lots of customers. On the first day of exhibition, the 100 sq.m. double floor exhibition room attracted many customers to quote, exchange business card. After face to face chatting, more customers came to visit our company and industrial district. The business cards received reached to 596 pieces, the total intended sales price reached to 28 million. At the first afternoon, the exhibited product MTW Medium Speed Trapezium grinding Mill had been sold out. And JC Series Jaw Crusher, HP Series Cone Crusher (Hydraulic), and PFW Series Impact Crusher (hydraulic) had also been sold out during the following 4 days. Shanghai ZENITH TV had a special report about the pomp of bauma exhibition, and also came ZENITH Transformers, which caught many customers' eyes. As the best stage for domestic enterprises to go to the world, the professional customers of 2010 bauma exhibition had more than 0.12 million with the recovery of the global engineering machinery market and the wide spread of Chinese engineering machinery industry. Famous companies at home and aboard showed on this exhibition. Shanghai bauma exhibition which facing the china, far east, Africa, and south American, etc market had already set off a new rush of engineering machinery industry. Meanwhile, it is the key period of transferring from “Made in china" to "create in china". Being the leading Chinese engineering machinery company, Shanghai ZENITH Company is again on the center of the stage.